As it always happens a great uproar has been raised over the building collapse. Ministers visiting the spots vow to put the offending owner and corrupt RAJUK officials on trial. The garment industry leaders have made new resolutions and issued threats against the owners who are not maintaining standard work environment. But nothing comes out of all the furore and things go on as before. The consecutive disasters in Chittagong (where a garment factory caught fire killing 54 people) and Dhaka only point out to the sheer callousness of the owners of these establishments and buildings, the government officials in charge of monitoring the buildings, towards safety standards and human life. 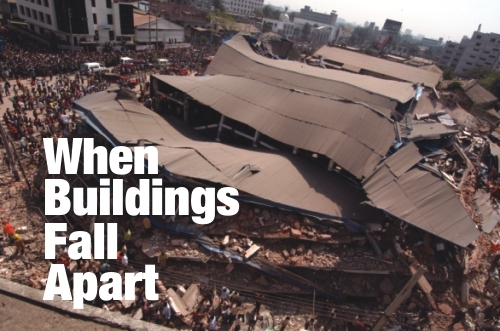 Even more frightening is the fact that there are hundreds of buildings in Dhaka city and other cities that have been constructed with similarly faulty methods or poor quality materials. They are disasters waiting to happen.